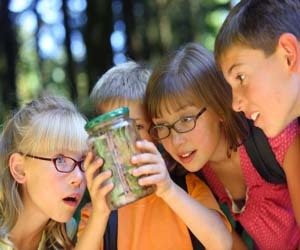 Equifax Personal Finance Blog by tax expert Eva Rosenberg, explains the good and bad news of the summer camp credit. You use IRS Form 2441 to claim the credit on your taxes. Unfortunately for many parents who have children in private school or daycare, the money is already spent in daycare and after school care charges long before summer arrives. If you read the stipulations on Rosenberg’s post and find you’re eligible, she warns that you should request the camp provider’s tax ID number before you send the child away. Turns out, some of them don’t want to give it out because they’re not planning to report the income. This entry was posted in Featured, New Home News and tagged equifax personal finance blog, IRS, summer camp on July 16, 2010 by Carol Morgan.